Van Halen has added 18 concerts to its highly successful 2012 North American tour. The newly added dates begin July 7 with an encore performance at the Mohegan Sun Arena in Uncasville, Connecticut. Second shows have also been added in the Detroit and New York/New Jersey areas, as well as Philadelphia. Ky-mani Marley is the opening act for all added concerts. The full itinerary can be found below. 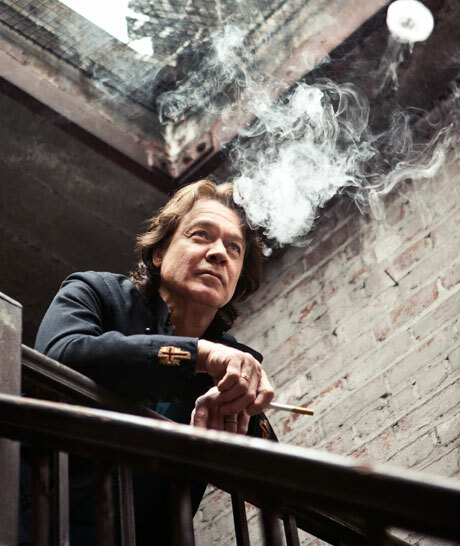 A rare interview with Eddie Van Halen is featured in the May 2012 issue of Esquire magazine, out on newsstands now. You can also check out the magazine's online feature on Eddie at Esquire.com. Speaking about "the whole alcoholism thing," Eddie said, "It wasn't really the partying. It was like - I don't mean to blame my dad, but when I started playing in front of people, I'd get so damn nervous. I asked him, 'Dad, how do you do it?' That's when he handed me the cigarette and the drink. And I go, 'Oh, this is good! It works!' For so long, it really did work. And I certainly didn't do it to party. I would do blow and I would drink, and then I would go to my room and write music." He added, "You know, people say with that twelve-step program you will succeed. I disagree. When they say, 'You can't say, I will never drink again,' I can honestly say I will never drink again. It's a whole new world. I'm fifty-seven years old and I know I'm not going to live to be 114, so I can't say I'm halfway done. It's a sullen truth, but this is the first record I've made sober. There's a certain place that you have to get to where things just flow, and I have to say that when I drank and did blow, it might have created a false sense of getting there easier. I'm not comparing myself to all these famous artists in history, but you know, everybody, guys like Mozart, they were all alcoholics. And it does somehow enable you to lower your inhibitions. At the same time, it also gives you a false sense that what you're doing is great. Now I'm so aware of everything that sometimes I'm afraid to pick up my guitar."